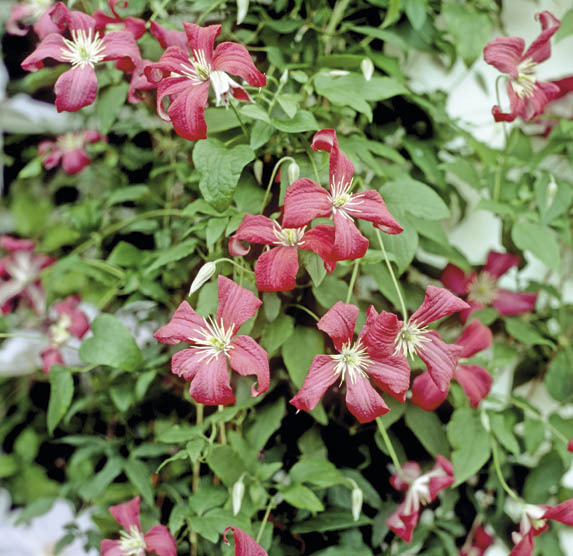 For a no-fuss climber that takes up little ground room, look no further than the Viticella Group clematis. Train them up tripods, fences or trellises – even tumbling over low walls or rambling along the ground. Their gently scrambling habit makes them the perfect follow up act for June-flowering roses and early summer-flowering shrubs. Just cut them down to the lowest shooting buds in mid-February and vigorous new growth will soon follow. 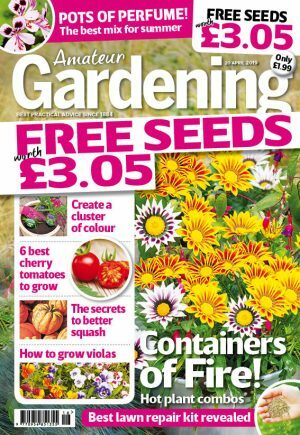 The best reason of all for growing these high-summer performers is their ability to produce lots of smaller flowers in summery shades that can vary between rich-red, purple, blue, pink or white. In contrast, the huge ‘dinner-plate’ clematis only produce one or two flat-faced flowers at once. Viticellas are adapted to dry conditions and indifferent soil and as a result they’ll never suffer from the debilitating collapse known as clematis wilt – however dry the summer. However they are not hot house subjects: they perform well in cool British summers and they are long lived too. Viticella clematis don’t need feeding, they flower better grown hard. The earliest viticella. Despite being bred by Morel in 1885 this elegant, deep-purple clematis has never been bettered. Vigorous enough for a fence. This free-flowering clematis, with larger than average wine-red flowers looks good here growing up a wooden post. Performs well in shade. Cool and crisp in semi-shade with white asymmetrical flowers that twist and turn some petals are streaked and tipped in green. What are your successes and failures with viticella clematis?